Join Us at 4/24 Working Together for Rural Well-Being Seminar! 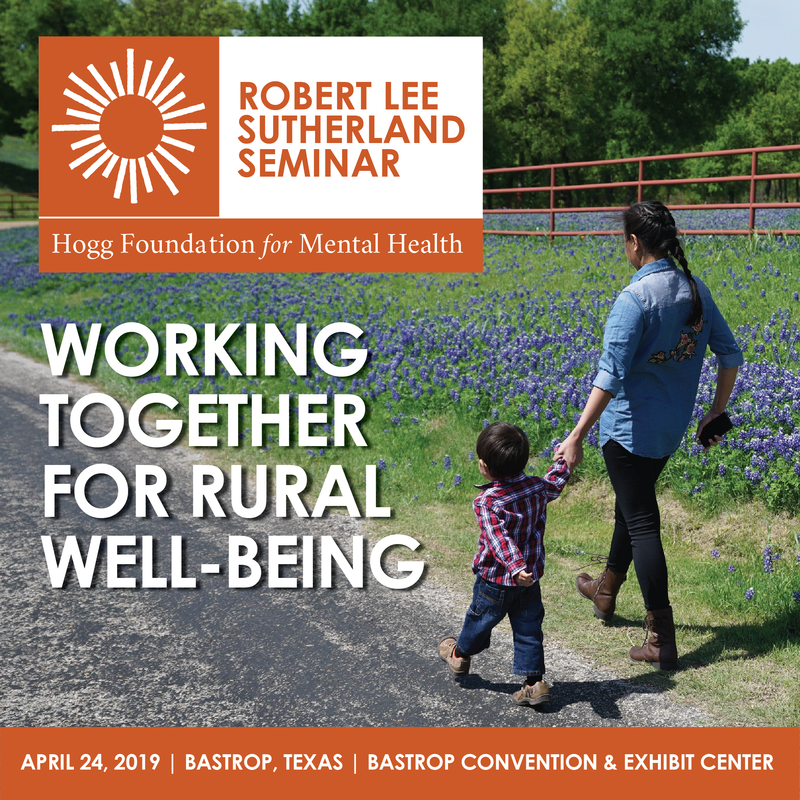 Join us at the “Working Together for Rural Well-Being” seminar, taking place on Wednesday, April 24, 7:30 AM to 4:30 PM at the Bastrop Convention & Exhibit Center in Bastrop, Texas! Open to all who are interested in resilience, mental health and well-being in rural communities, attendees will have the chance to learn about and share ideas on topics related to community collaboration, social determinants of mental health, engaging historically excluded groups, systems change, and dialogue and learning. One of the Hogg Foundation’s core values is collaboration. To truly transform mental health in the places where people live, learn, work, play and pray, a variety of collaborative approaches are needed. At this seminar, attendees will learn about the power of effective, inclusive collaboration to transform mental health at the personal, community and systems levels. Community Collaboration: How can we create community-led solutions?Learn about the power and pitfalls of working together to address mental health and well-being while gaining an understanding of the key building blocks of a successful collaborative, such as structures and processes that support inclusivity, authentic listening, and mutual trust. The Robert Lee Sutherland Seminar is a biennial event that carries forward the legacy of the foundation’s first executive director, Dr. Robert Lee Sutherland. Beginning in 1978, Sutherland convened Texans through a series of seminars to reflect on the state of mental health and promote innovation and collaboration among consumers, providers and advocates. Each seminar features a different theme based on the present landscape of mental health in Texas. Notice of waitlist: This event is now at capacity. By registering, you will be added to the waitlist. As openings become available, waitlisted individuals will be informed in the order in which they joined the waitlist. Speaker and agenda information will be released through the event webpage as it becomes available. You may also subscribe to our email lists to be informed of updates.